The story of two Internships! 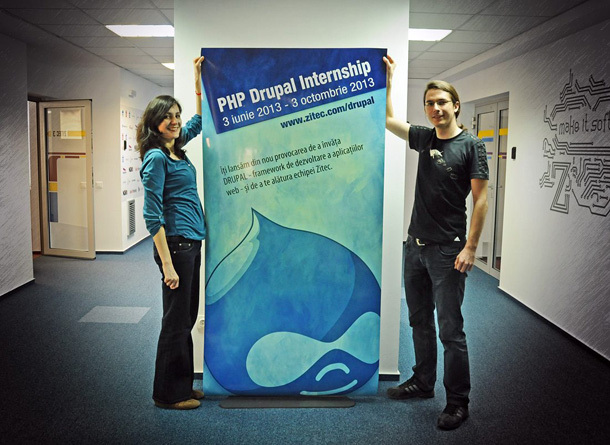 Back in 2011, the internship for Drupal was a big success for Zitec since that’s how we got 2 of our best enginneers – Adina Nichitean and Alex Enciu! Shortly after, we had another succes with the SEO internship, resulting in a new member for the Online Marketing team – Mihaela Patrolea! And we started to spread the news. We worked hard trying to find our future colleagues: we traveled over seas and mountains… Well, not really seas and mountains, but we did go to most Universities in Bucharest. Actually, it was really fun and we enjoyed talking to the students, giving them Z-cookies and watching them turning into Zuperman. We received more than 350 applications, the interviews went really well and even if we were looking for one Internship team (Drupal), the enthusiasm of the candidates got to us and we decided to organize one more internship, for PHP. The next step was to find a coordinator for the PHP team. Easy-peasy since Lucian Daia was the natural choice. On the first of July, our seven new colleagues started learning, programming and having fun. 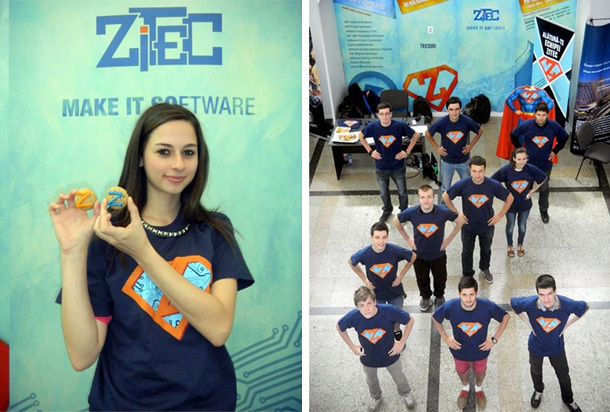 They quickly became part of our Z-team and four months later, we are very happy that the best five of our Interns will make it software! The truth is that we really like this kind of stories, so we can’t help but do it again. We have two more internships coming up soon, so stay tuned and help us spread the news!